FiberVisions is the global leader in the development, manufacture and marketing of polyolefin staple fibers for nonwoven applications. Through our joint venture ES FIBERVISIONS, we are also the world’s leading supplier of bicomponent fibers. 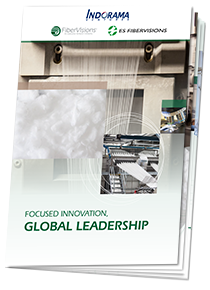 FiberVisions is part of the INDORAMA Group – the largest vertically integrated polyester chain producer in the world – and as such benefits from the support of an even bigger global player in our expansion initiatives and professional business conduct. We aim to be a partner that adds value, working from various platforms of fiber types and concepts with the ability to customize or develop products for our customers.